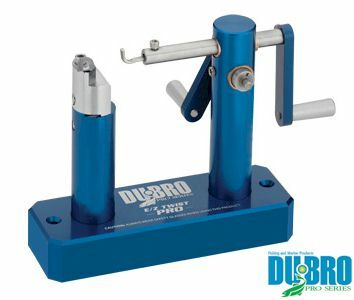 The Dubro Twist Tool allows anyone to create custom wire leaders like a pro. Whether you fish with a haywire twist or barrel wrap leader, you can make hundreds in a short amount of time. 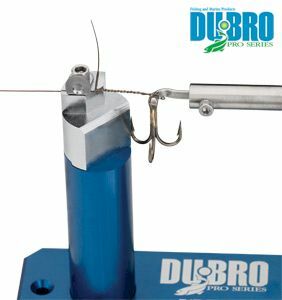 If you ever dreamed of making money in the fishing tackle industry, this is a great way to make it happen. Supply your fishing club, tackle shop or just create the best leaders for you and your buddies. You can use wire from 2 gauge all the way up to 22 gauge. From muskie to shark, we've got it covered. Feel free to call us to get a unit set up to fit your specific needs. Make your own custom wire leaders with ease. The E/Z Twist Pro is so simple to use, you will be able to make hundreds of leaders in no time. In fact, some of our customers have sold their leaders to tackle shops to generate extra income. • Wraps are consistent and look professional. • This model wraps wire from 5 to 12 gauge. • Make the eye right on the unit, no extra tools needed. • All replacement parts available. • Make wraps "loose" or "tight" depending on preference.